The owner was very helpful and was very easy to reach. 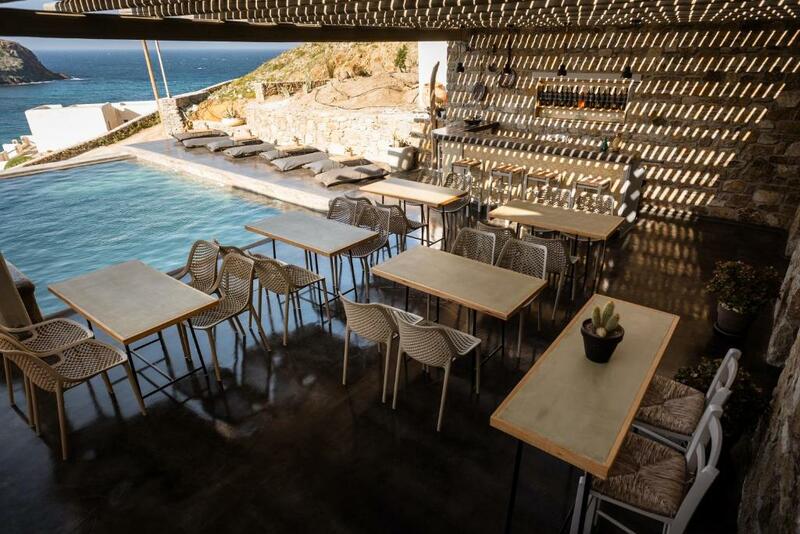 A great place to book if travelling with a group of friends. This property is so magical - pictures really don't do it justice. But what really made our stay extra special were the staff. They were so warm and welcoming and made this place feel like a home away from home from night one! I liked that the place is quiet and you can hear the sea. The sunset is very beautiful. And the morning is very refresing. There is no traffic noise, no airplane noise, only the sea, the rock and the sky, as the property name says. The view from the terase is perfect. Location and the facility is great. Views are amazing and you get to see the sun and the sea every morning. The hotel had the best view and was amazing also easy and pretty cheap to rent a car to get around the island. If you are looking for things to do the staff is also very helpful. 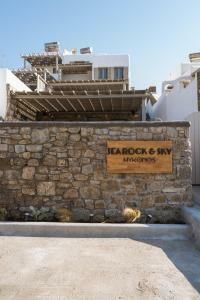 We were delighted with everything that Sea, Rock and Sky Residences had to offer. It was our first time visiting Mykonos so we were happy to explore the island. A pool at the residence would be the icing on the cake! I liked the actual villa and the private beach. The host is truly amazing and were very helpful if there was an issue. 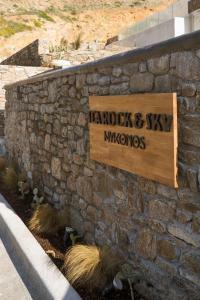 Lock in a great price for Sea Rock & Sky Private Residence – rated 8.8 by recent guests! Located in Merchia Beach, the traditionally built Sea Rock & Sky Private Residence features a terrace with sea view and an on-site bar. It offers elegantly decorated units with balcony or terrace and free, on-site parking. The cosmopolitan Mykonos Town is 8.1 mi away. Decorated in white and gray tones and fitted with built-in sofas and beds, all units offer views over the Aegean Sea. Each has a kitchenette, a dining area and a seating area with a satellite flat-screen TV. Facilities include a toaster, a fridge and a coffee machine. There is a private bathroom with free toiletries in every unit. Some units include an outdoor hot tub. Guests can enjoy breakfast or another meal at the on-site restaurant upon request. Drinks are also served at the on-site bar. Massage services are also available upon extra charge. Transfer services are also availiable upon extra charge from the port, airport, town and beaches. The property has a private beach area and car hire is available. 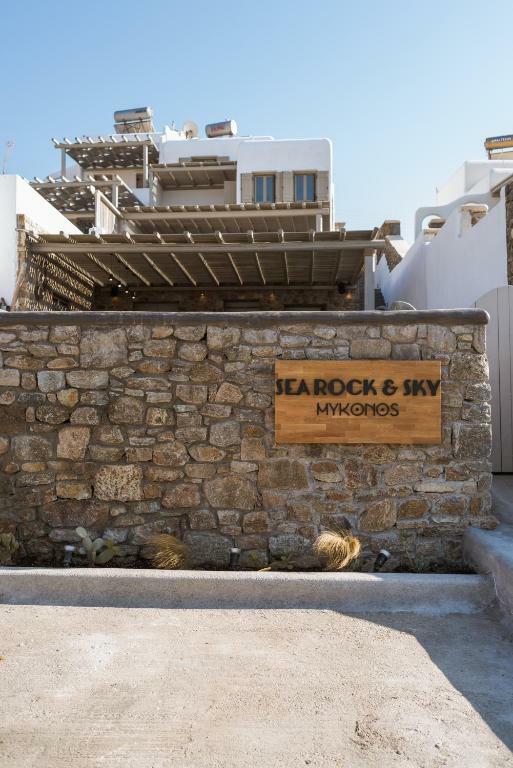 The nearest airport is Mykonos Airport, 5 mi from Sea Rock & Sky Private Residence. When would you like to stay at Sea Rock & Sky Private Residence? 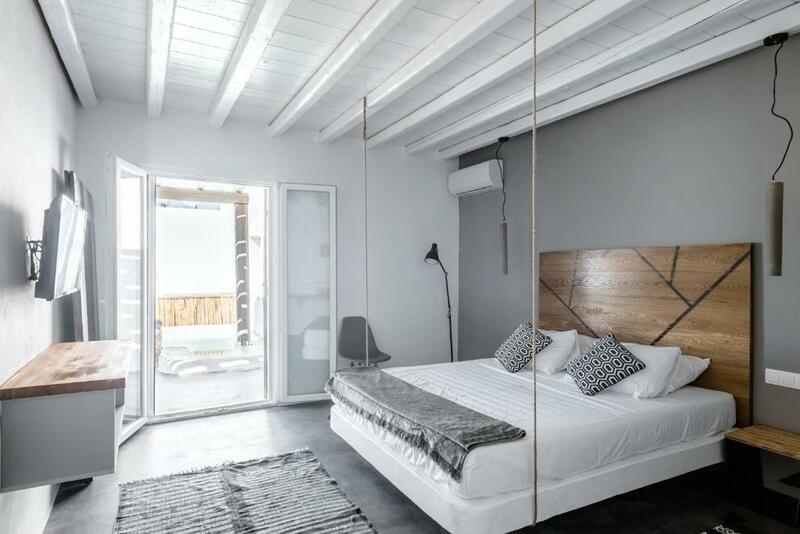 Decorated in white and gray tones and fitted with built-in sofas and beds, this apartment offers an outdoor hot tub and views over the Aegean Sea. It has a kitchenette, a dining area and a seating area with a satellite flat-screen TV. Facilities include a toaster, a fridge and a coffee machine. Decorated in white and gray tones and fitted with built-in sofas and beds, this apartment offers views over the Aegean Sea. It has a kitchenette, a dining area and a seating area with a satellite flat-screen TV. Facilities include a toaster, a fridge and a coffee machine. Decorated in white and gray tones and fitted with built-in sofas and beds, this split-level apartment offers views over the Aegean Sea. It has a kitchenette, a dining area and a seating area with a satellite flat-screen TV. Facilities include a toaster, a fridge and a coffee machine. Decorated in white and gray tones and fitted with built-in sofas and beds, this split-level apartment offer views over the Aegean Sea. It has a kitchenette, a dining area and a seating area with a satellite flat-screen TV. Facilities include a toaster, a fridge and a coffee machine. 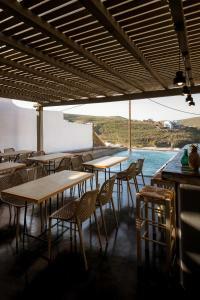 Opening to a terrace featuring an outdoor hot tub, this elegantly decorated apartment offers views over the Aegean Sea. It has a kitchenette, a dining area and a seating area with a satellite flat-screen TV. Facilities include a toaster, a fridge and a coffee machine. This apartment features a balcony, cable TV and soundproofing. This apartment features a balcony, kitchenware and executive lounge access. This apartment features a balcony, executive lounge access and soundproofing. House Rules Sea Rock & Sky Private Residence takes special requests – add in the next step! Sea Rock &amp; Sky Private Residence accepts these cards and reserves the right to temporarily hold an amount prior to arrival. Sea Rock & Sky Private Residence accepts these cards and reserves the right to temporarily hold an amount prior to arrival. Please inform Sea Rock & Sky Private Residence of your expected arrival time in advance. You can use the Special Requests box when booking, or contact the property directly using the contact details in your confirmation. Nicely decorated appartements, delicious breakfast, great view, quiet place. The staff was very friendly and helpful. 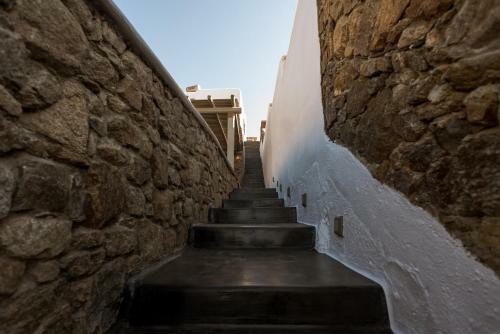 The location is s bit remote from all the action on the island, also the road to the apartment is the worst one on whole Mykonos. The kitchen is a bit small for four people, but otherwise everything is perfect. It was really nice and cosy. They cleaned it every day. Also the staff is really nice and always available for help. Dope view to the see. It's a 30-45 mins journey from old town. The last stretch of 2 kms road is pretty bad. Better to hire a car for your stay. The nearest grocery store is 4 kms away. So stock up your food before checking in. The bathroom was very tiny and it did not have a curtain or a partition. So be aware of the water dripping down outside the shower area. They show a kitchen area in their pictures, yes there is a stove, coffee maker , fridge, sandwich maker.. But there is no raw material available to prepare your food, the coffee powder kept there had fungus in it. Hence, buy your grocery before reaching the place. The view from the hotel was exceptionally good. The sound of waves and winds wake you up in the morning. It's a quiet place located far away from the hustle bustle of Mykonos. Room was spacious and comfortable. They provide pickup from port for 30 euros. Merchia beach is just 2 mins walk away but its a rocky beach. Overall everything was fine. Maybe one of the bathrooms could have been a bit larger. Quiet and confortable place with a beautiful view on the sea, quite a nice change from the overcrowded agitation of Mykonos. The staff were very kind and helpful. 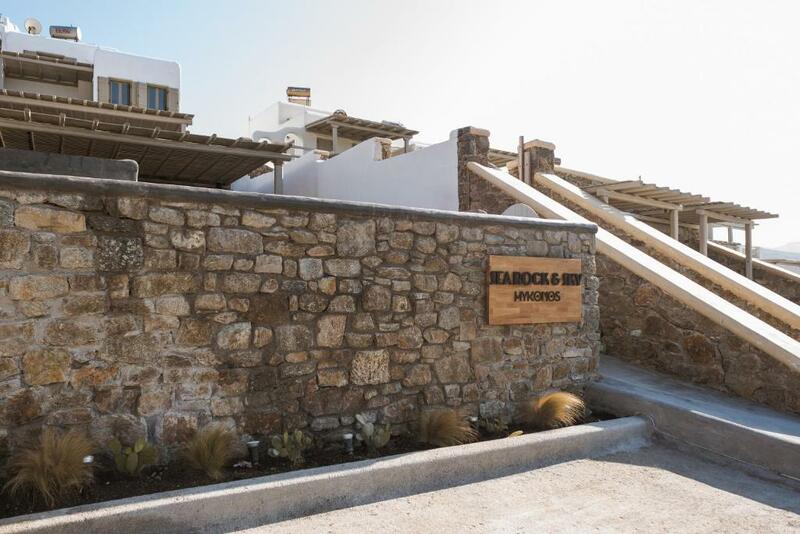 Not a real big issue, but the last 2 km to Merchia Beach and that part of the island Mykonos and to the residence should be maintained better, it was OK, but with few efforts could be improved significantly. White Residence 1 was great in space for 4 persons and the terrace was greatly , town nearby was convenient to purchase in supermarket and for dinner, beaches nearby we personal liked even more than more crowded and served beaches around Mykonos city, Merchia Beach is not crowded and we had half of the days with no wind and ideally for swimming and snorkeling. We can’t thank the owner’s enough. A friend of us felt coming down the ferry and if it wasn’t because of them, we couldn’t have save the life of our girl friend. They never left our side, until she was transfered to Athens by helicopter. The roads in Mykonos are poor and the last km to the hotel is really bad. I also missed a common pool. The house was modern and comfortable, facing Merchia beach. The owners were nice and helpful with everything we needed.